"He's a brave one, that Gus. He's a heartbreaker too. He's a survivor and we have his back." 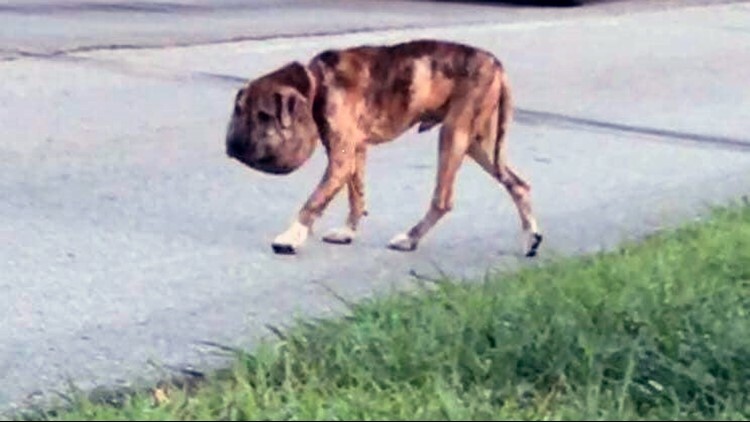 HOUSTON — The severely abused Houston dog that stole hearts nationwide has undergone a dramatic transformation. When KHOU 11 first told you about Gus last week, his face was horribly swollen because someone had tied a shoestring around his neck and it became embedded. X-rays showed Gus had also been shot at least 25 times with a pellet gun. Thanks to hundreds of kind people who donated money for Gus’s treatment, he has a new look and a new lease on life. Doctors at the Texas A&M Small Animal Clinic have performed two tricky surgeries to repair scar tissue that was dangerously close to his jugular vein and carotid artery. 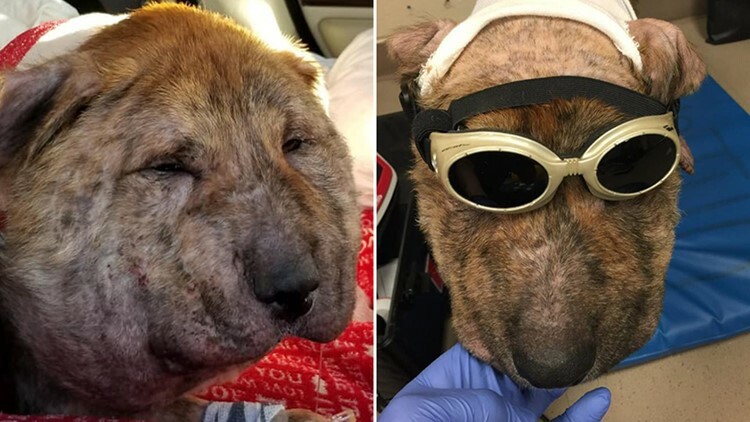 Now the swelling in his face has gone down thanks to laser therapy treatment and massages. Gus seems to be enjoying all of the love and attention from his new Aggie friends. “He's a brave one, that Gus. He's a heartbreaker too. He's a survivor and we have his back,” Houston K-911 Rescue posted on its Facebook page. They took custody of Gus after animal rights activists found him wandering around a southeast Houston apartment complex. They say several residents had seen Gus but no one did anything to help. After K-911 and KHOU 11 shared the story, donations began pouring in. People magazine and other national media picked up the story. “A heartfelt thank you to everyone who has embraced Gus. Your outpouring of love and care gives us hope that maybe there is a chance that we can change the course of this crisis of the homeless animals,” K-911 Rescue posted. Doctors at A&M believe Gus is only about 10 months old. Once he makes a full recovery, he'll need a forever family. With that sweet face and strong will to live, we're guessing people will be lining up to adopt him.